Games Workshop has a done a fantastic job re-imagining armies for Age of Sigmar. But Grand Alliance Destruction is in need of some love and we think there is one army that could work perfectly for them – the Chaos Dwarves! 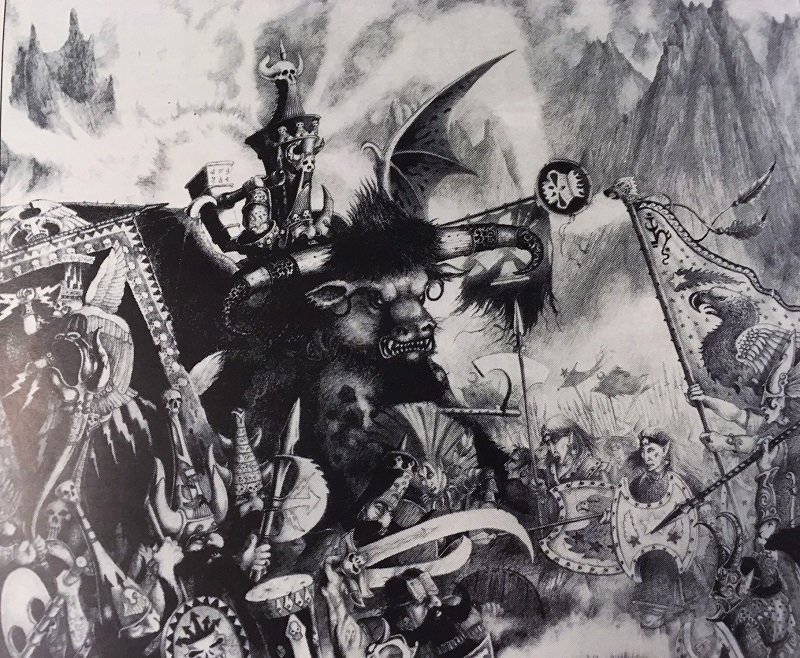 The Chaos Dwarf army has it’s roots from the earliest editions of Warhammer Fantasy Battles. However, the last time it was fully supported was basically 5th edition. 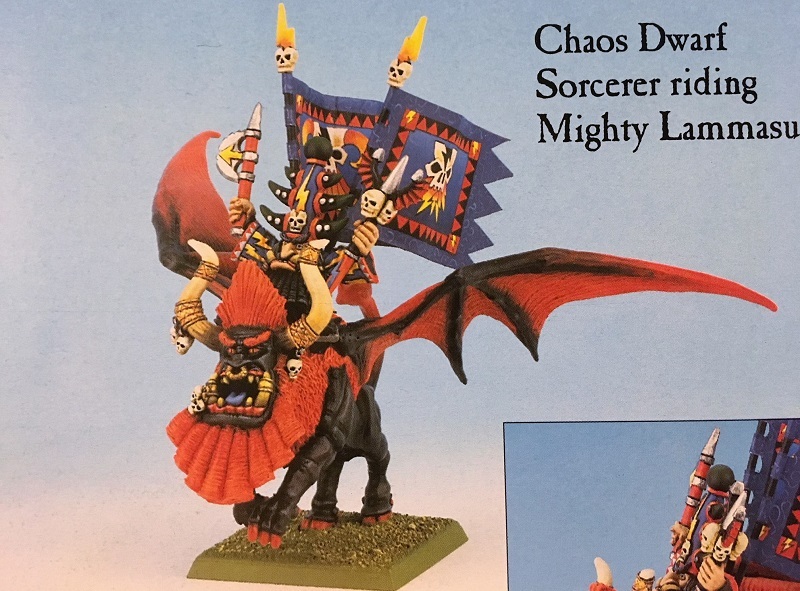 Forge World does have the Legions of Azgorh rules and they do produce models, but it’s about time that the Chaos Dwarves got a good hard look. Games Workshop re-imagined the Dwarves into the Fyreslayers and the Kharadron Overlords and we got to see what they could really do with the technology they have now. They also explored and expanded the themes of the Dwarves and made them more extreme, but in a fantastical way. 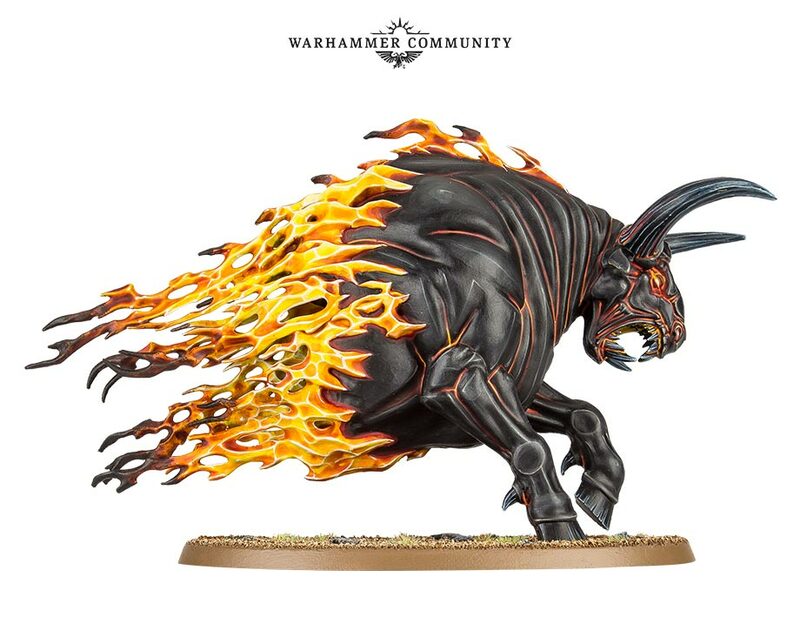 For example the Fyreslayers took the aspects of the Dwarf Slayers and took those to 11, infused them with a fire-like rage and boom – you have the new Fyreslayers. Likewise, the Kharadron Overlords took on the aspects of “Gold-loving Dwarves who are traders and craftsmen” and injected some awesome “sky-pirate” into that concept. Now we have the Kharadon Overlords and that’s another amazing line of miniatures. Both of those armies have an amazing model line with strong themes. There is no reason GW can’t do the same for the Chaos Dwarves! The Chaos Dwarves worshiped the God Hashut who’s avatar was that of a bull. 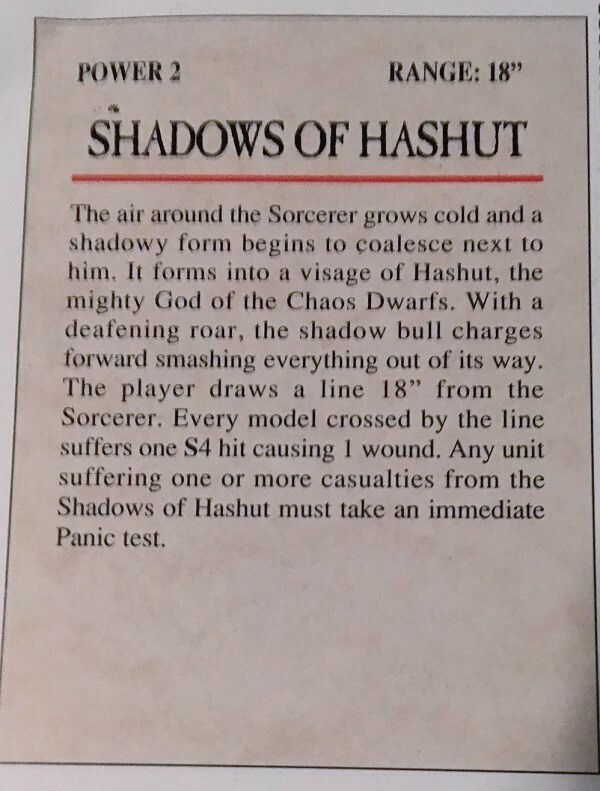 That actually brings us to our first point of why the Chaos Dwarves should be a part of the Destruction faction despite having Chaos in their name – Hashut could easily be re-imagined as a Beast God which is much more fitting for Destruction. Hey, if the Daughter of Khaine can be Slaaneshi-infused members of the Order Grand Alliance, then why can’t the Chaos Dwarves ditch the “Chaos” moniker and become “Hashut” Dwarves or whatever and be a part of Destruction. 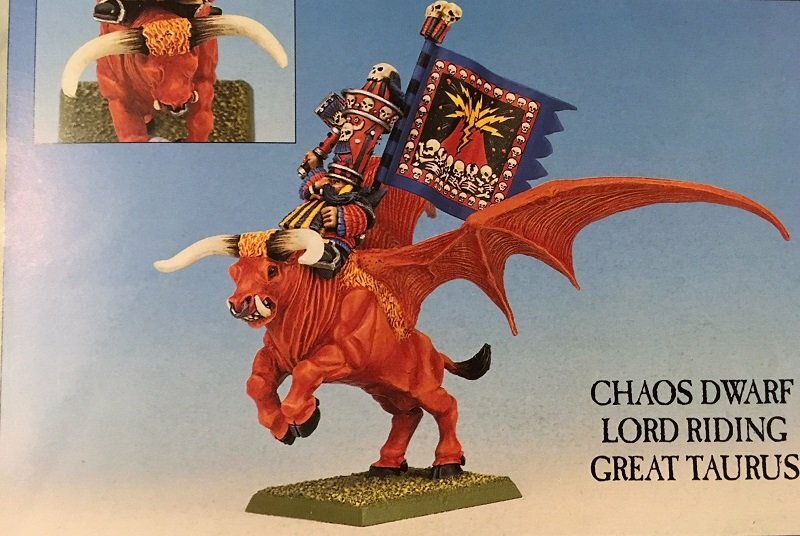 Chaos already has a pretty big stable of armies and models and Order has had how many brand new armies since AoS launched? Destruction has had Ironjawz, and while those new Orruks are pretty cool they could really use some friends and allies. 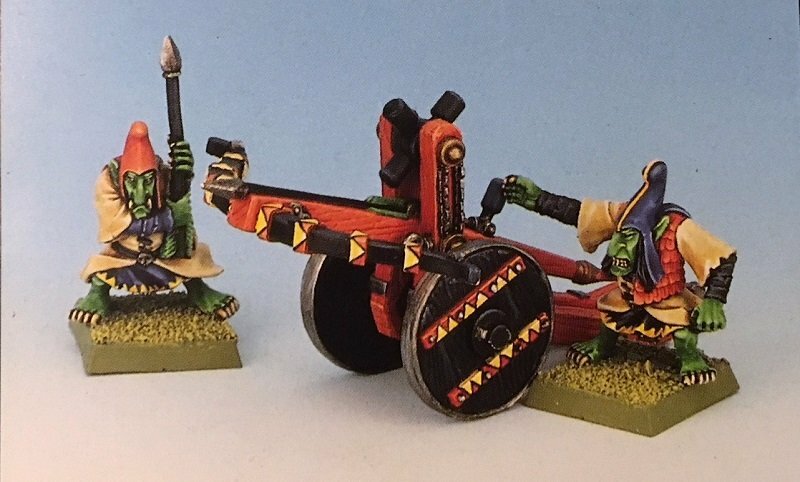 This new Dwarf faction could also bring back another long lost sub-set of the greenskin race: Hobgoblins! Our next reason for the Chaos Dwarves to join the Destruction Grand Alliance is because of the long (and sorted) history they have had with Orcs and Goblins. I’m not going to sugar coat it the Chaos Dwarves were pretty awful to the Greenskins. They enslaved them and used them as slaves to further their own ends. They even created the Black Orcs and used them until they rebelled. The Orcs could have destroyed them from within if it wasn’t for the Hobgoblins. So yes, their history is messy. But that was the Old World! 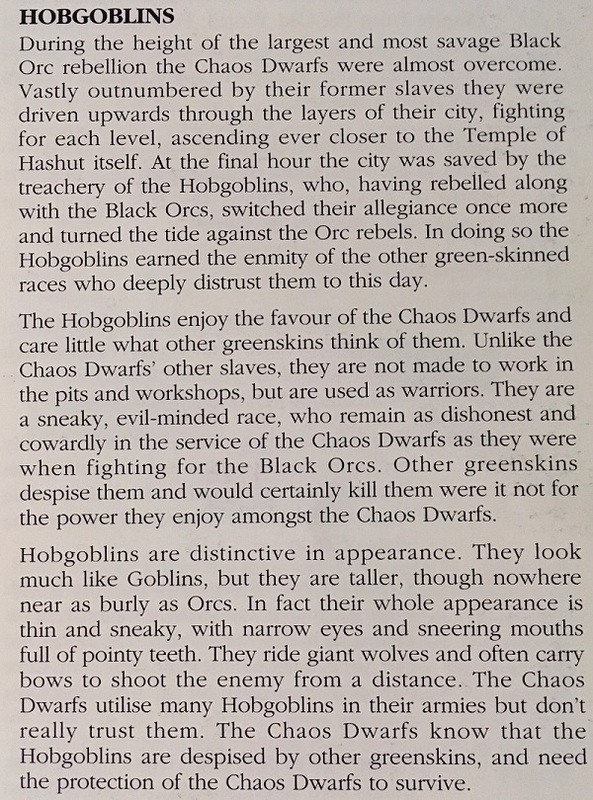 I’m 100% sure that GW could spin this all around and create some new lore that made the Hobgoblins and Chaos Dwarves team-up for the survival of both. Twisted Duardin who sell their souls in service to Hashut, the Legion of Azgorh are infamous for the terror they spread across Aqshy the Realm of Fire.. Entrenched within a dread fortress built in the Ashcloud Mountains, they harbour utter contempt for all others. Man or beast; grot or monster – all fall before them, enslaved to fuel the Legion’s malevolent industry and sacrificial pyres. Masters of murderous war engines and unyielding iron, the realms tremble when the Legion of Azgorh marches forth. Chaos Dwaves need to ditch the “Chaos” part of their name and join Destruction. They have some interesting themes that could be explored and turned up to 11 – Bull Centaurs for one. But an entire re-imagining of their line could bring in some really cool new models AND a new Destruction army to help round out that Grand Alliance. Hashut’s magic, twisted Duardin war-engines, and Hobgoblin mercs? That’s what I’m talkin’ about! What do you think? 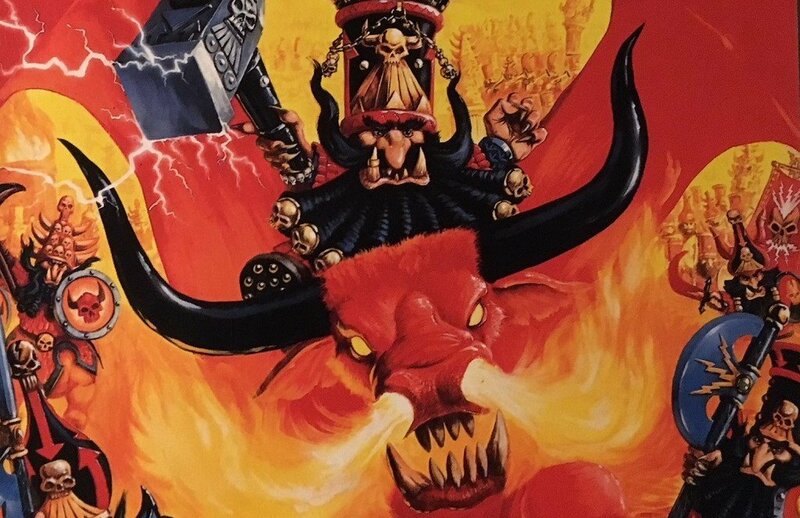 Should the Chaos Dwarves ditch the “Chaos” and join Destruction? Is this just an excuse to pitch a new ‘Evil’ Dwarf Army for Age of Sigmar? 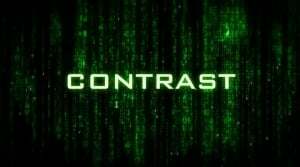 Why can’t it be both? !